At its F8 conference today, Facebook announced it is introducing a video player that can be embedded onto other sites – finally. 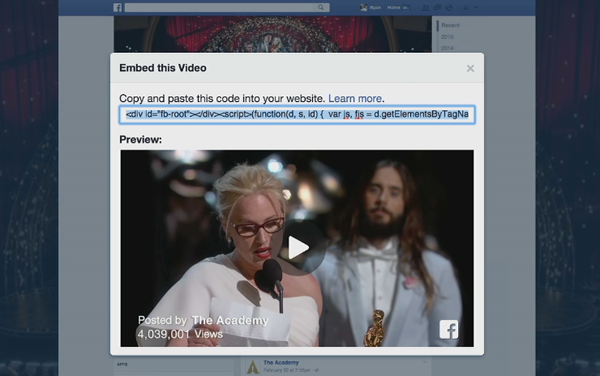 Starting today, users will see an embed option on their videos. They’ll then be prompted to copy and paste the necessary HTML code onto their website.